Congress is mulling over a federal sports betting bill draft. 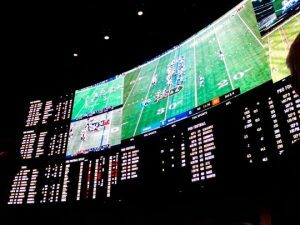 The bill would give the federal government the final decision when it comes to making sports betting legal. 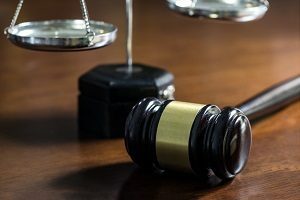 The bill will apply to all states. This new bill would also prevent U.S. states from passing unilateral sports betting laws. This is in direct contradiction to the Supreme Court decision. The ruling in May overruled the PASPA, or Professional and Amateur Sports Protection Act. There are eight U.S. states in which sports betting is legal. It is likely that more states will approve legislation for sports betting before the passing of the drafted bill. It’s not yet clear what the state’s position will be if the bill is approved. The bill also includes details about setting a minimum requirement for handling problem gamblers. States will also get information on permitting gambling data across state lines. The sports betting bill will also mandate how official data from sports leagues is incorporated into gambling events. The issue of sports league data has been assessed in detail. The bill has specific regulations regarding bets that are placed before December 31, 2022. In regards to these bets, the gaming operator must determine the result only by using licensed data. The data must also be provided by an entity or organization that has been authorized to do so. The bill discusses the federal excise tax as well. The tax will be 0.25% of the handle. The percentage will be put into a wagering trust fund used to finance matters related to sports betting. The funds will be used to create and support a National Sports Wagering Commission. The money will also go toward a national sports wagering clearing house. The clearing house will coordinate sports betting issues on the national and state levels. Many state representatives and industry officials have also spoken out since the bill draft was publicized.